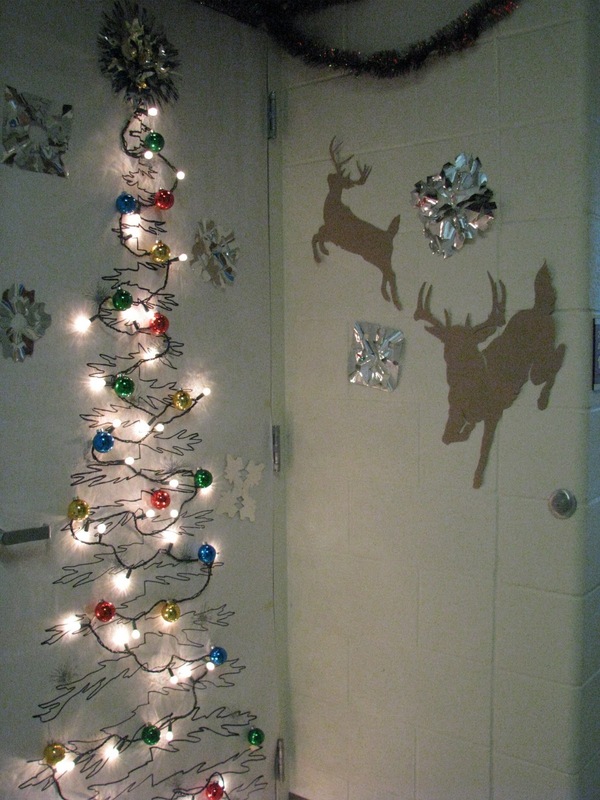 Well, Christmas is fast approaching and this season is a mad rush of activity! 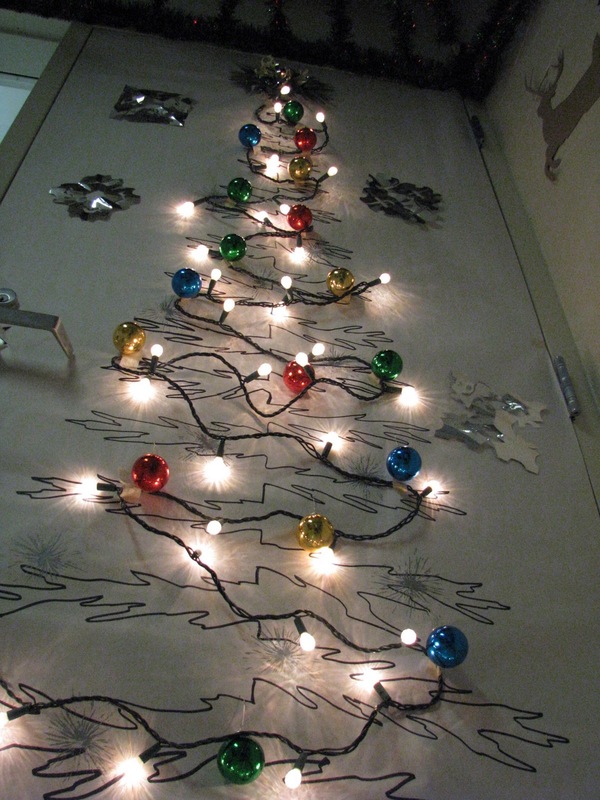 At school we've had lots of holiday festivities and I wanted to show you my classroom door. We decorated it based off the idea on a link posted on Poppytalk. And we won! My class received an icecream party. 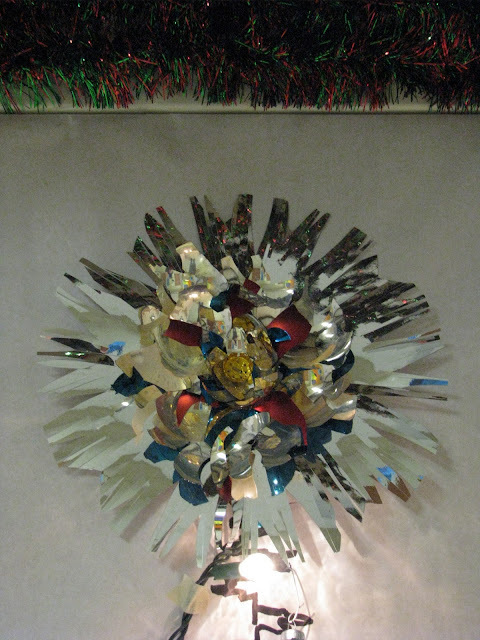 The star on top was made by glueing together broken ornaments. It is very sharp, and kind of dangerous looking but its also beautiful...so reflective and colorful! We also had our second annual Art Faire. We sold artwork made by art club students during the Madrigal performances at school. Once again it was a big success. I made calendars using student artwork after being inspired by the calendar I received from Barbara at Sparrow Avenue. We had lots of pottery, jewelry, cards and other artwork as well. What a lovely door and the fair is great! You are great inspiration for your students!AriadnefromGreece! It all looks so wonderful; I'm not surprised you won! The calendars were a huge success. Thanks again for the awesome idea!